Amanda Clarks goes back to her childhood home under a fake identity – Emily Thornton. Her Mission: Taking down everyone who is responsible for the death of her father. 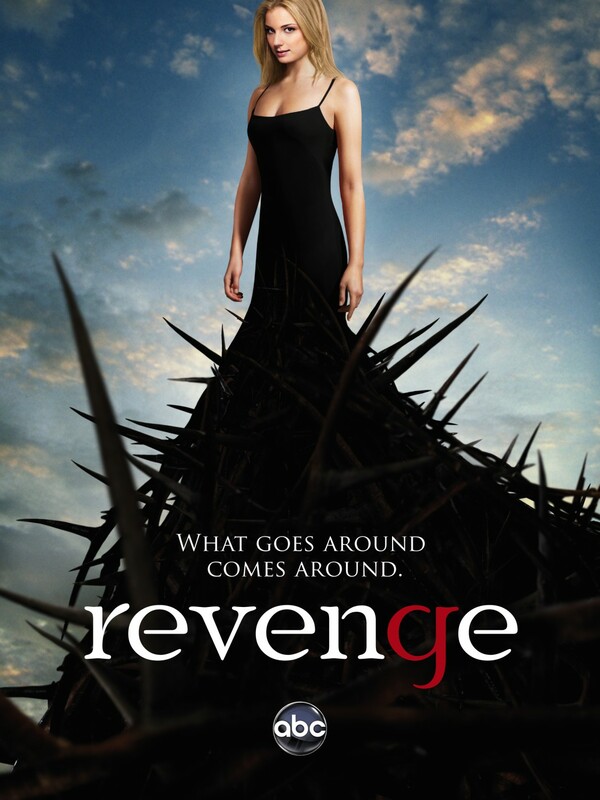 Boy, was I loving Revenge when it came out first. It was a totally fresh and unique take on the good old story of vengeance. The episodes were intriguing, revealed twists each time, and made me gasp for more. Then season two started, and I thought, “well, this is probably the final season.” But apparently ABC saw the ever so rising numbers of viewers, so they decided to keep Revenge around for a third and possibly more seasons. Nonetheless season two was still a thrill ride. Season three started alright, but I kept getting the feeling that it was going no where, and slowly but steady it turned into a soap opera like The Bold and the Beautiful. And seriously, that should be aired in the morning, not during prime time. ABC made a huge mistake by renewing Revenge; what could have been an amazing drama series with a banging conclusion, turned out to be a cash cow that people aren’t willing to let go until it falls as low as Amy Winehouse before she said her final bye bye. And I am saying that as a fan of both Revenge and Amy Winehouse. I will probably DV-R the remaining episodes just so I can fast forward through them, but all the additional, unnecessary drama besides the actual revenge is getting too much for me. It’s a drag, and not in a good way like Rupaul’s Drag Race is. And it’s getting old. I hope the show ends after this season, so it can keep its dignity somehow. Pingback: Revenge Season 3 Finale Recap (Almost Spoiler Free) – Congratulations, ABC, you have our Attention Back! | Simon Says... WATCH THIS! I have Revenge on my to-watch but never started. I guess I just won’t now..haha! You know, I would still recommend the first two seasons and I have a glimpse of hope for the third season to turn out for the better. But who knows…?! Ill wait for your update 🙂 I’m way behind on everything so I’m not in a rush to start this. I know what you mean! This season has been a major snooze-fest. Hopefully, Sunil Nayer changes course and employs more “revenge-y” plots and less romantic entanglements! !